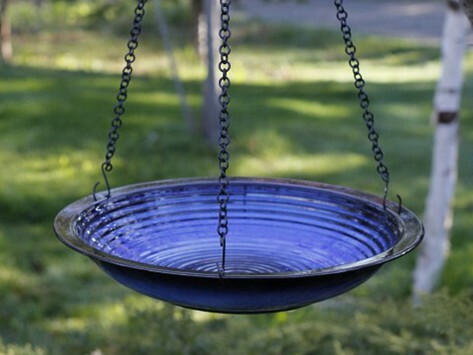 The Circles Bird Bath looks stunning whether its hanging from a branch or mounted in a garden. Made from durable stoneware, the circular design catches the light and provides the perfect perch for neighborhood birds. Dimensions: 14" x 14" x 34"
I gave this to my son-in-law for his birthday he (we all did) Loved it. He hung is right away and it is beautiful and clean looking. The bird came to it right away. We're very happy with it and I'll probable be purchasing more as gifts and for myself :) Thank You Grommet for such great products! Is it artwork or shelter? 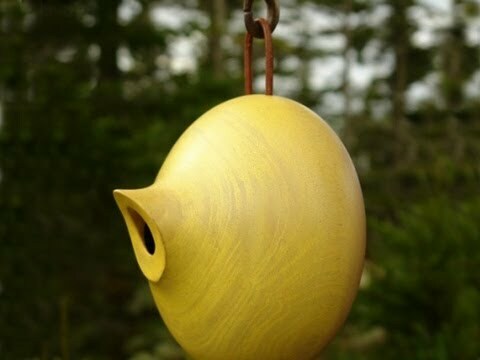 These sculptural bird homes and feeders do double duty.